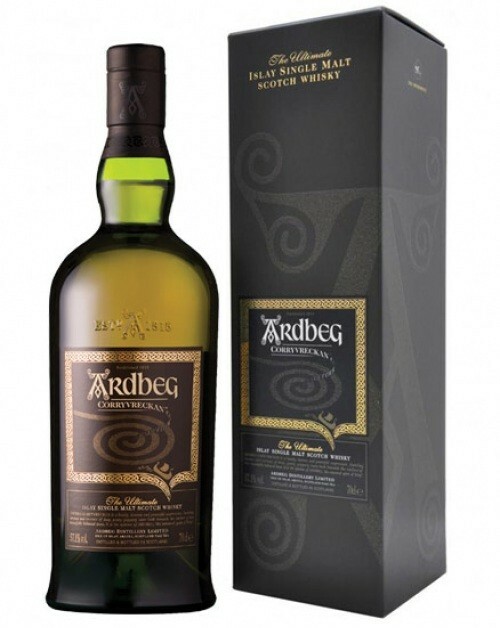 Ardbeg Corryvreckan Single Malt Whisky is a replacement for the much coveted Airigh Nam Beist; it had a hard act to follow. But follow it did in fine style winning World's Best Single Malt Whisky at the World Whisky Awards 2010. It also won Best No Age Statement Scotch from Jim Murray's Whisky Bible. This is one of the legendary Islay malts. Nose: Ripe oranges, strong marmalade preserve, peach syrup and lemon cheesecake. Palate: Rich and luxurious. Peaches and passion fruit prevail; peppery without water and there's faint notes of damson jam. Peaty. Finish: Nice length with peat and spice in there. Well balanced with a lovely sea note right at the end.